After much anticipation, Apple finally launched the iPad Air 2 just two days ago. The tablet was everything that was being speculated so far. Not only is the iPad Air 2 remarkably thin, but it also features the A8X on board, a processor Apple went to some lengths to show off at it’s event in Town Hall. So now that things have settled, we’re here to tell you what Apple has changed in the iPad Air 2 and take a look at the differences between Apple’s latest offering and it’s predecessor. For a recap, the iPad Air 2 comes with the A8X processor, is 6.1mm thick, has received an increase in camera resolution and comes with Touch ID and Apple Pay. So let’s start. Design is one aspect of the iPad Air 2 that scores a major win. Before it’s launch, it was correctly anticipated that Apple would be making the tablet thinner than it’s predecessor, as has been the case with every Apple device. But no one was able to pin down how thin would the iPad Air 2 be exactly. The iPad Air 2 is 18% thinner than the iPad Air which measured 7.5 mm and has a width of only 6.1 mm, making it even more thinner that the iPhone 6 and being the same width as the iPod Touch 5. A long time feature on the iPad which gets changed with the iPad Air 2 is the removal of the mute/orientation switch on the tablet. This get replaced with a microphone, which Apple claims will offer high-fidelity recording on the iPad Air 2. The iPad Air 2 is manufactured using a unibody aluminum chassis, as expected initially. While some speculation suggested that Apple might be giving a bump to the iPad Air 2 by introducing Retina HD. The iPad Air 2’s display however remains same with 9.7 inches and a resolution of 2048 x 1536. However the display of the iPad Air 2 gets an upgrade in other areas. When compared to the iPad Air’s glossy screen, the iPad Air 2 ends up getting an anti-reflective screen. This, according to Apple reduces reflection on the iPad Air 2 by up to 56%. How well this fares out in usage, we’ll find out once the device becomes available. The iPad Air 2 also gets another display upgrade. The LCD, glass and Touch sensor on the iPad Air 2 have been optically bonded. This is one of the primary reasons behind the massive decrease in the tablet’s width that we told you about earlier. This ends up improving colors, image sharpness and overall contrast due to removal of internal reflection caused by separate components. 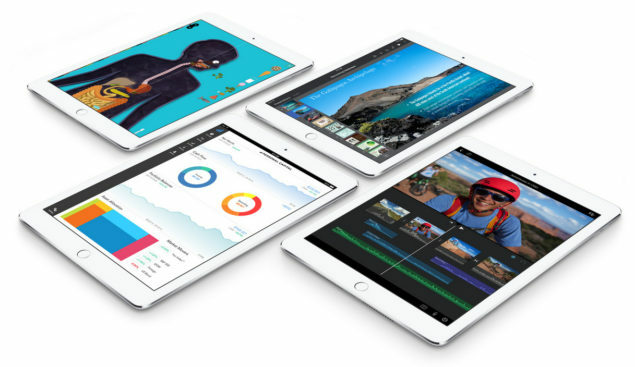 Performance is one aspect of the iPad Air 2 that Apple seems to have paid extra attention to. Apple has upgraded the processor in the iPad Air 2 to the A8X, a variation of the A8 found on the iPhone 6 and second generation in it’s 64-bit micro-architecture. This is backed by a new M8 motion co-processor which takes the load away from the A8X for tasks involving the gyroscope, barometer, accelerometer and more. The iPad Air on the the other hand comes with the 64-bit A7 coupled with the M7, According to Apple, the A8X offers up to 40% more CPU performance and 2.5 times the graphics performance over the A7. These should be enough for all of your games and app requirements. The A8X has one billion more transistors over the A7, pushing it’s transistor count to 3 billion. iSight camera on the iPad Air 2 has received an upgrade from the original iPad Air. The iPad Air had an iSight camera of resolution of 5 MP with aperture size of f/2.4. The iPad Air 2 retains this aperture size, but receives an upgrade in resolution. The iSight camera on the iPad Air 2 now has a resolution of 8 MP. Burst mode has also made it on board the iPad Air 2 and this is coupled with a new camera sensor and burst mode on the iPad Air 2. Native resolution on the new 8MP camera sensor on the iPad Air 2 is 3264 x 2448 which allows great viewing on large screens as well. FaceTime HD features improvements for better face detection and low light scenarios. Panoramas of up to 43 megapixels can be recorded with the iPad Air 2 and Slo Mo video found on the iPhone 6 also makes it on the tablet. The iPad Air 2 comes with a decent battery size of 8826 mAh. Despite this, Apple claims that the iPad Air 2 can still offer up to 10 hours of battery timing. This is partly due to the improved power efficiency of the A8X on board. Battery detals about the iPad Air 2 should soon be confirmed by Apple. Coming towards storage, the iPad Air 2 still comes with starting 16 GB of storage. But for those who require maximum storage on their tablets, the iPad Air 2 will also be available with 128 GB of storage on board. Given iOS 8’s size and the general increase in size of apps and multimedia these days, the 128 GB upgrade was much needed. The iPad Air 2 also includes support for up to 20 LTE bands on the iPad Air 2 Wi Fi plus Cellular. 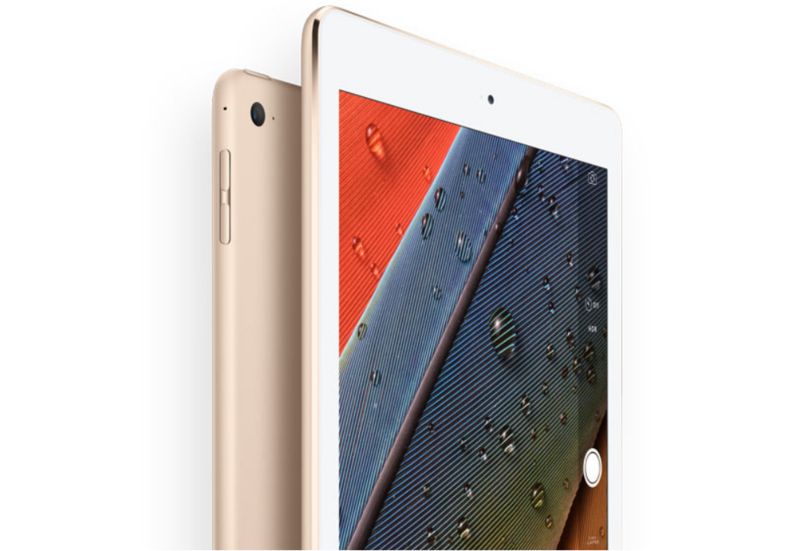 Wi Fi 802.11 ac with MIMO is expected to offer the iPad Air 2 with 2.8 times faster Wi Fi and download speeds up to 866 Mbps. A special feature debuted with the iPad Air 2, and something that Apple has been reported to be working on for quite a while is Apple SIM. With Apple SIM you can switch between carriers on the iPad Air 2 Wi Fi + Cellular on the go. So now you’re no longer tied to one carrier and can pick between carriers on-the-go. So that’s all that we know about the iPad Air 2 so far. Apple’s latest tablet flagship has pretty much covered everything you’d expect of a tablet. Performance, display, thickness, storage, connectivity and accessibility; all of these features receive significant upgrades over the iPad Air. Maybe increasing the resolution to Retina HD would have been the final nail in the coffin, but perhaps laminated display offers more than it appears on paper. Will you be purchasing the iPad Air 2? Let us know about your initial thoughts about the device in the comments section.